I finished my first cross stitch! I kinda free formed this one. Simple names and images. This is for an ATC I did - "V is for". So it is ATC sized and I used fabric glue to attach it to card stock. 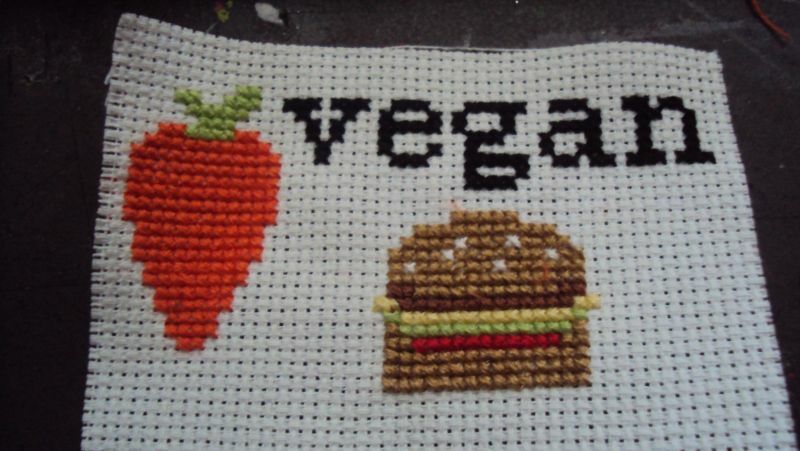 V is for: vegan, veggies and a veggie burger! 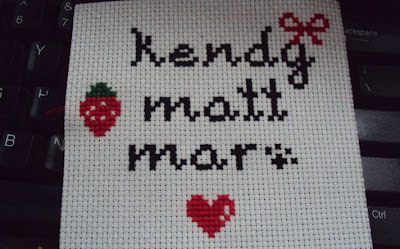 I am working on some embroidery right now and want to pick up a new cross stitch pattern soon! The rain is keeping me inside and cold but productive with the thread and needle! These are both so great!